Dart: "This Isn't the Lotto"
Beginning Monday, and for the second time in two years, Cook County Sheriff Tom Dart is refusing to carry out evictions. The latest moratorium will apply to those people living in homes whose lenders aren't able to provide documentation that the eviction is legitimate and legal. "All I am looking from them is an affidavit saying, 'The cases you have in your system are all reviewed. All the documents were done correctly. They were all legally done. And you are not enforcing illegal orders,'" Dart said Tuesday. He said his team recently reviewed 350 cases and found that only 17 of them had the proper paperwork. The banks involved included Bank of America, JPMorgan Chase, GMAC/Ally Financial and their subsidiaries. "This is so outrageous. These poor people are being put through this day in and day out, by people who don't do their jobs," he said. "It's so hard for me to stomach these people. This isn't just we are taking their bike away, or their car away. This is their house." 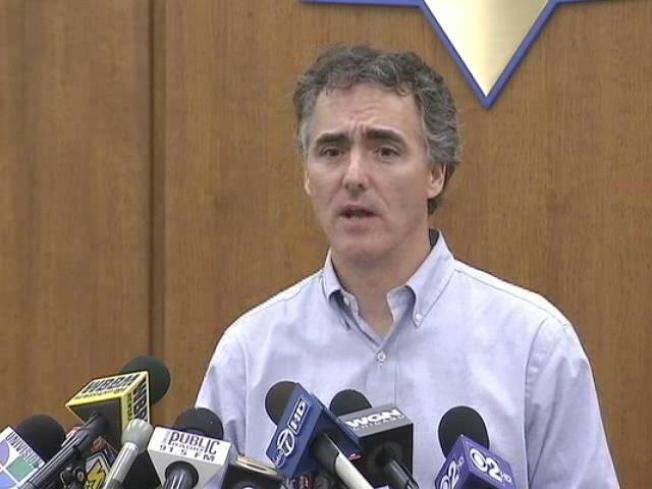 Dart said his moratorium will affect about 1,300 foreclosures in Cook County. Two years ago, Dart made national headlines when he carried out a 12-day ban on evictions for renters who had been dutifully been paying their rent.